Leave the stress behind. 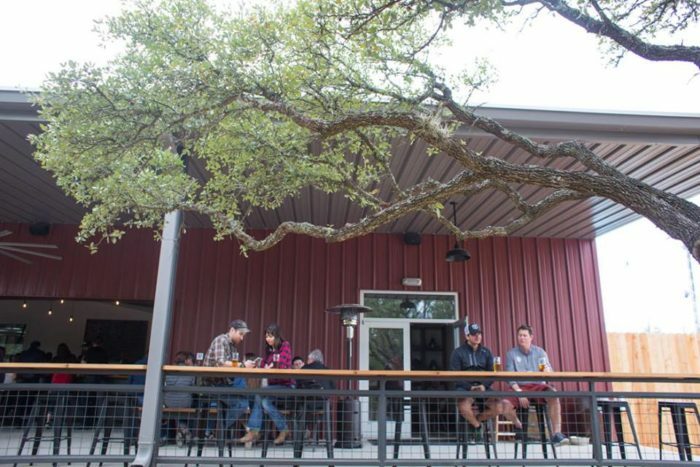 At Family Business Beer Company, you can forget your troubles while lounging under a gorgeous oak tree. 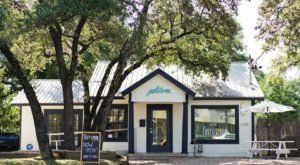 Co-owners Jensen and Daneel Ackles teamed up with longtime friend Gino Graul to create a welcoming spot for the whole family. Refreshing beverages and mouthwatering eats are just the beginning. 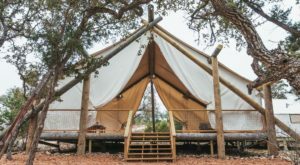 You’ll feel right at home at this blissful Hill Country getaway. 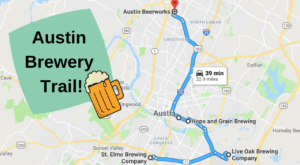 This lovely brewery near Austin is the perfect place to escape. 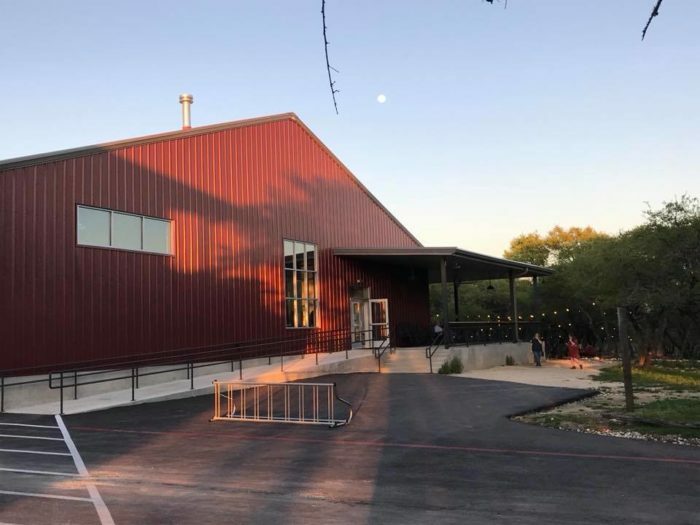 This gorgeous brewery sits on 15 acres in The Texas Hill Country. 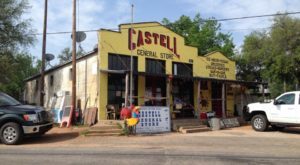 Dripping Springs is known for its peaceful atmosphere and stunning sights, so it makes sense that this husband and wife duo wanted to open their family business out here. 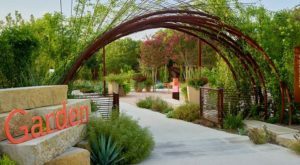 The bright red building is as homey as country barn, and the grounds are full of quintessential Texas beauty. Step inside the tap room and browse the selection. You could lounge in this bright tap room all day long. Try a classic year-round staple like the Cosmic Cowboy IPA or The Fox Rye Lager. If you come by in the Fall, you can enjoy their tart and refreshing Spree Berliner Weisse. Keep your eye out for the Dark Star Black IPA. This rotating beverage is medium bodied and brightly hopped. If you want to learn more, you can embark on a brewery tour. 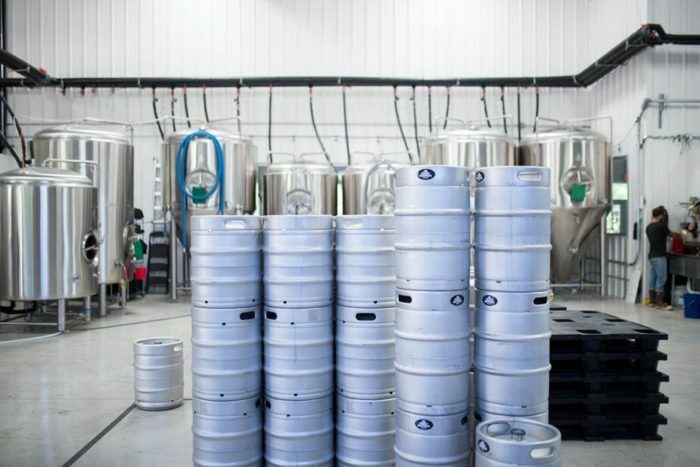 Learn the ins and outs of creating craft beer. A knowledgeable guide will take you behind the scenes and show you the ropes. Brewery tours are offered every Wednesday, Thursday, and Friday at 4:30 pm. After you've chosen your perfect beverage, head on out to the patio and soak up the sights. Family Business Brewery's shaded patio is especially amazing on warm days. From here, you can gaze out on all 15 acres and relax in the breeze. Let the kids run free on the playground while you relax with your friends. 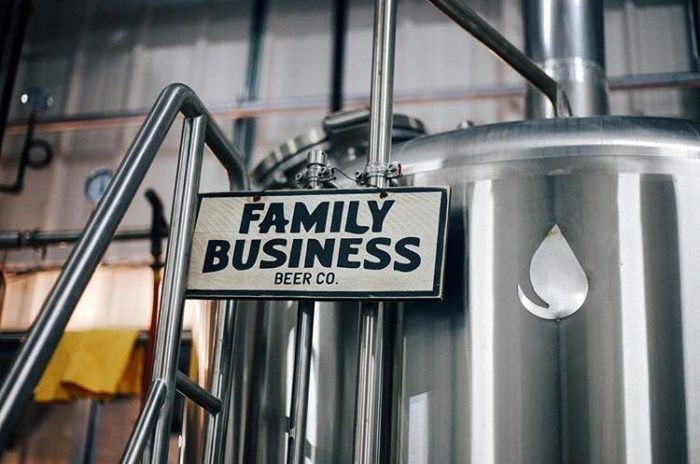 There's something for everyone at Family Business Brewery. The kids can jump and explore the massive playscape while the adults try a flight of beer. The oak grove is also dog friendly, so you won't have to leave anyone behind. As the sun sets, the area grows even more beautiful. From Spring to Fall, this lovely brewery bursts with jaw-dropping views. Chow down on some simply delicious Cajun food from Jep's Southern Roots. 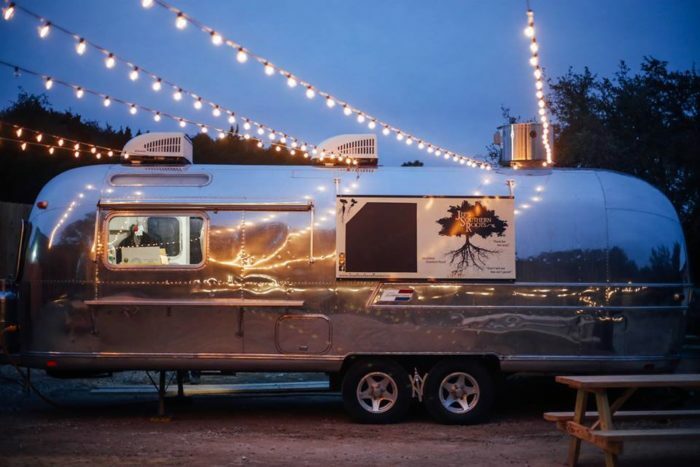 This isn't your typical food truck. Here, the dishes are beyond scrumptious. 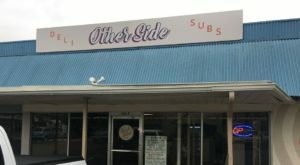 Their shrimp po'boys are filled to the brim with fresh, fried seafood. The big pot of beans and rice will keep you full for hours. This finger-licking soul food is the perfect accompaniment to a cold glass of beer. 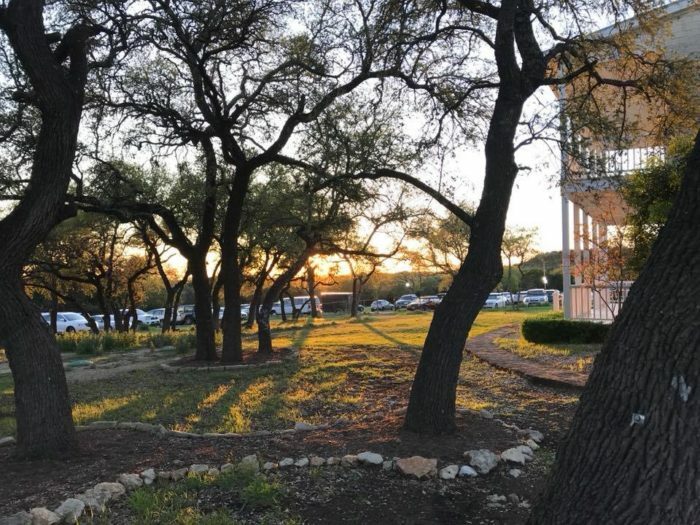 Discover The Hill Country's brightest escape. 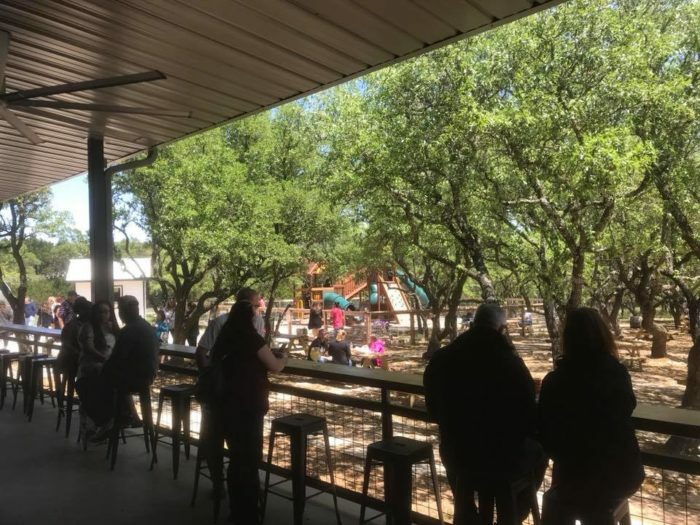 Family Business Beer Company is located at 19510 Hamilton Pool Road in Dripping Springs, Texas. They're open Wednesday - Friday from 3 pm to 10 pm, Saturday from 11 am to 10 pm, and Sunday from 11 am to 9 pm. To learn more, visit their website or Facebook page. 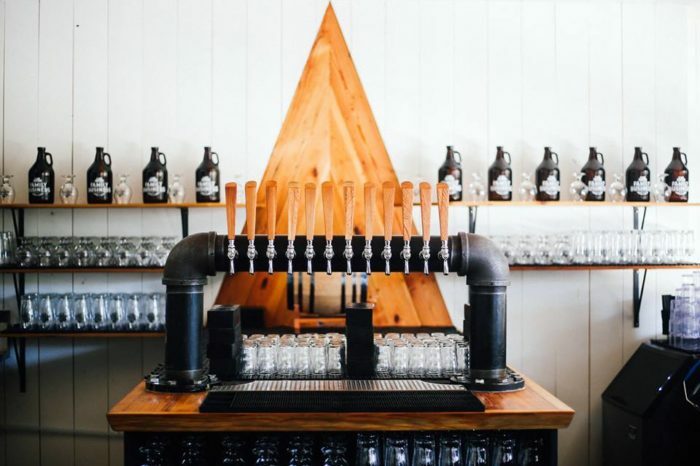 Eager for more Austin-area watering holes? 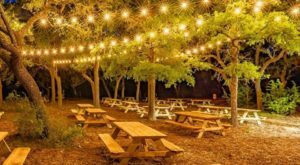 You absolutely must visit these 10 beer gardens at least once.